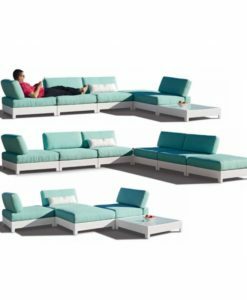 Modular elements offer unending configurations allowing you to create your very own unique design and change it up whenever you like. 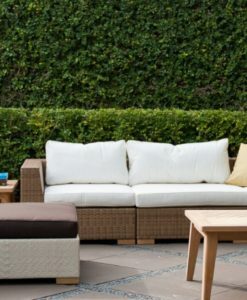 Choose pure white, neutral taupe or bold colorful Missoni fabric options. 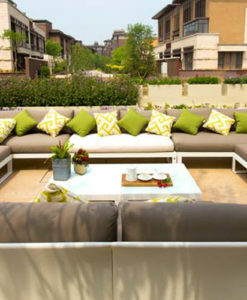 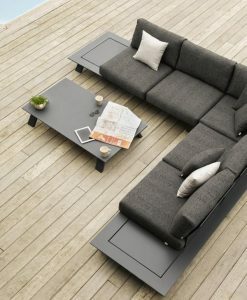 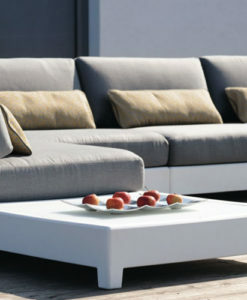 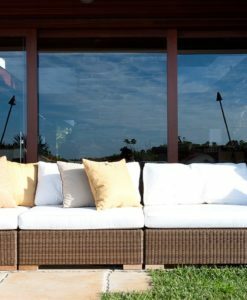 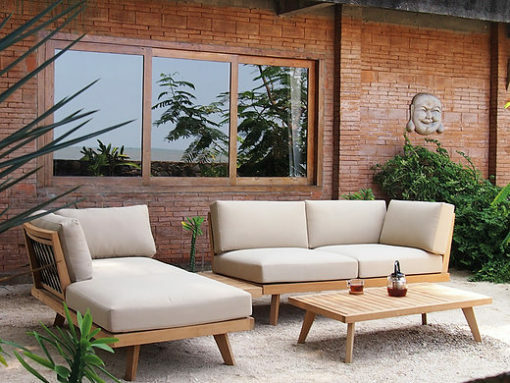 Modern Teak Woven Backrest W Rope Sectional Sofa exemplifies softness and has a neutral palette and a minimalist design. 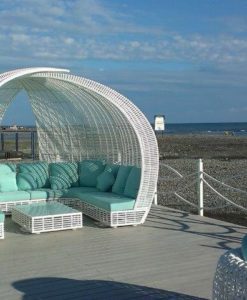 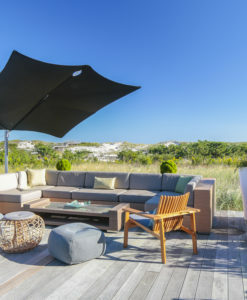 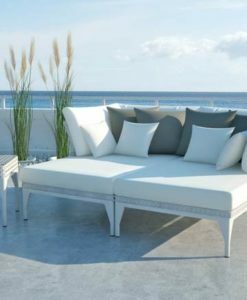 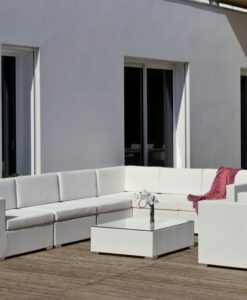 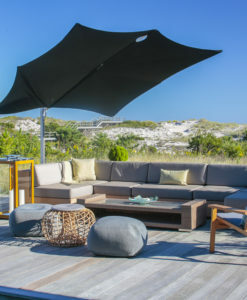 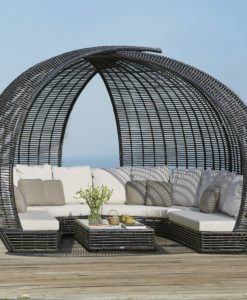 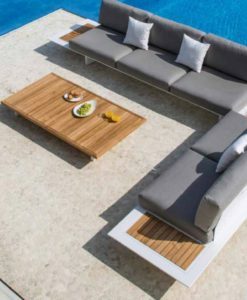 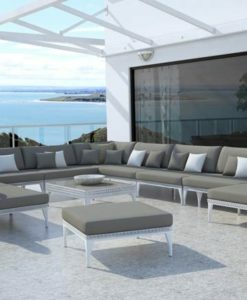 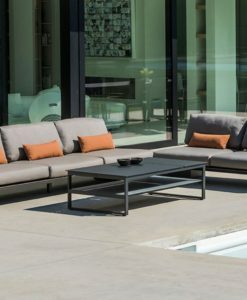 Furthermore, its modern silhouette and sleekness makes an elegant addition to any outdoor space from poolside patio to front porch. Modern Teak Woven Backrest W Rope Sectional Sofa a modern lounging sofa, designed for flexible lifestyles. 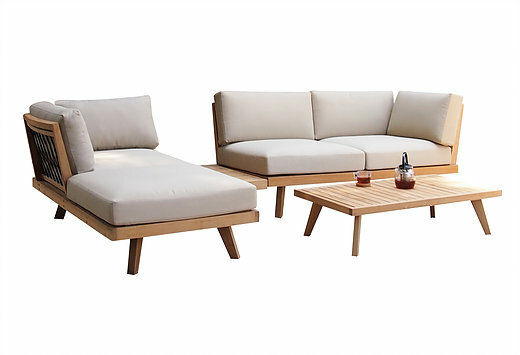 Low, chunky seats are perched on A-grade teak with moveable backrest, allowing for more case, in the instance you’d like to lounge or sleep; a sofa built for endless configuration possibilities.